9x13" Toms, 16x16" Floor Tom, 16x22"
6.5x14" snare optional. Shown with Atlas Pro Hardware. So what's a Ludwig "Quick Pick"? We wish they had called it Quick Ship! 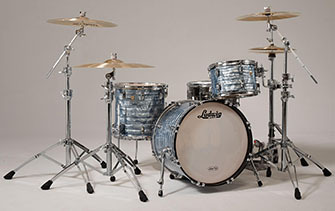 Ludwig offers awesome drums but they often take a while to deliver. 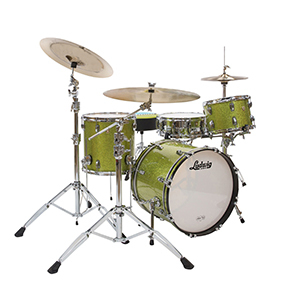 Ludwig is now offering "Quick Pick" classic maple configurations which will have a very short lead time. 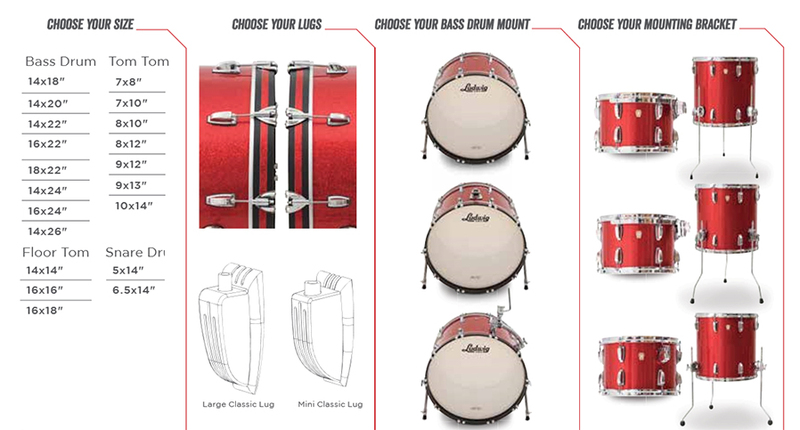 Choose from 20 Wraptite finishes then pick your tom(s), bass drum(s)and snare and we'll have a drum in your hands in no time. 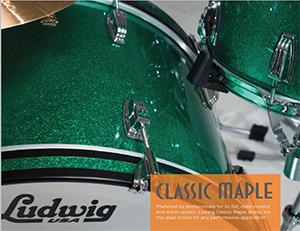 Quick Pick Classic Maple drums may be fast to deliver but they're made in the same Monroe North Carolina USA plant and meet the same quality standards that all other USA Ludwig drums do. 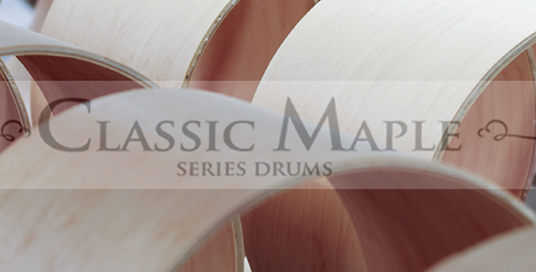 All classic Maple shells are made from North American maple using 7-ply construction with cross laminated ply layers and grain rotated 90 degrees between layers for rock solid strength and booming performance. 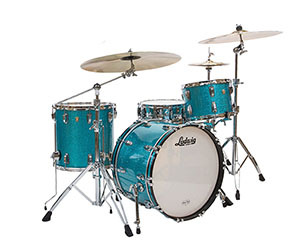 Bearing edges are cut to a 45 degree angle for that unmistakable Ludwig Classic Maple sound. Quick Pick colors include a variety of sparkles including Blue, Red, Silver, Green, Gold, Olive and Teal sparkles as well as Black Galaxy, Black and White Cortex, Vintage Black Oyster, Red Oyster Pearl, Sky Blue Pearl, White Marine Pearl and Vintage White Marine wraps. customers often receive kits in under 2 weeks. 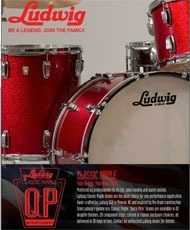 Please contact us for details on Ludwig Quick Pick fast ship kits. 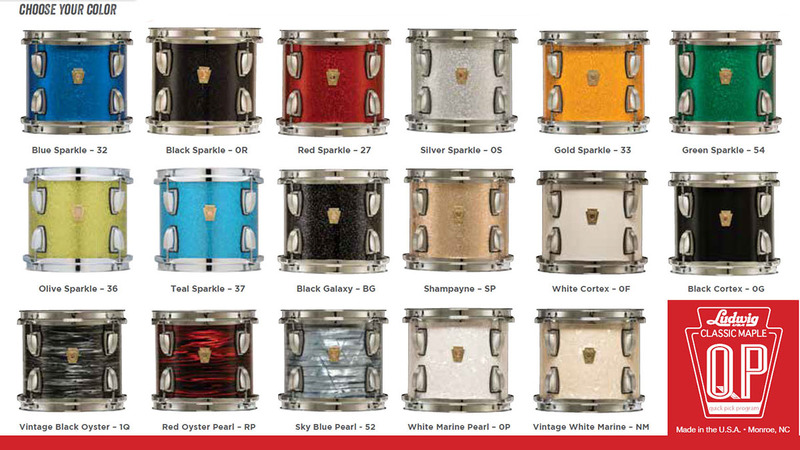 Classic Maple quick pick drums come in a variety of colors and configurations, please contact us to place your order.